Fiji Airways Fijiana 7s coach Saiasi Fuli is working on changing the team’s culture and setting a game pattern for the team ahead of the Sydney 7s next month. 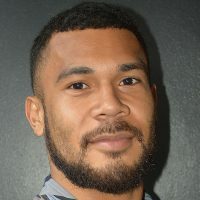 Fuli says he will utilize the remaining weeks in trying to change the mindset of the players to move away from going into the tournament to make up the numbers. He adds their aim is to win all their games in Sydney and move up the ladder as they are currently placed 11th on the standings. The Sydney 7s will be held on the 1st to the 3rd of next month.